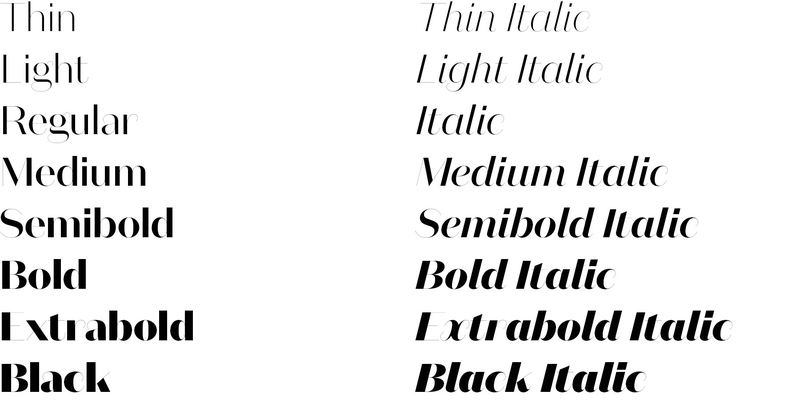 Domaine delved into the unpopular Latin typeface genre. Domaine Sans is an exploration into another unpopular genre of typefaces: sans serifs with contrast. Like most type designers I always like to experiment with my typefaces by adding or subtracting serifs. Up until now this hasn’t been very fruitful (Feijoa Sans? National Slab?). However, Domaine Sans felt like it had promise from the start. 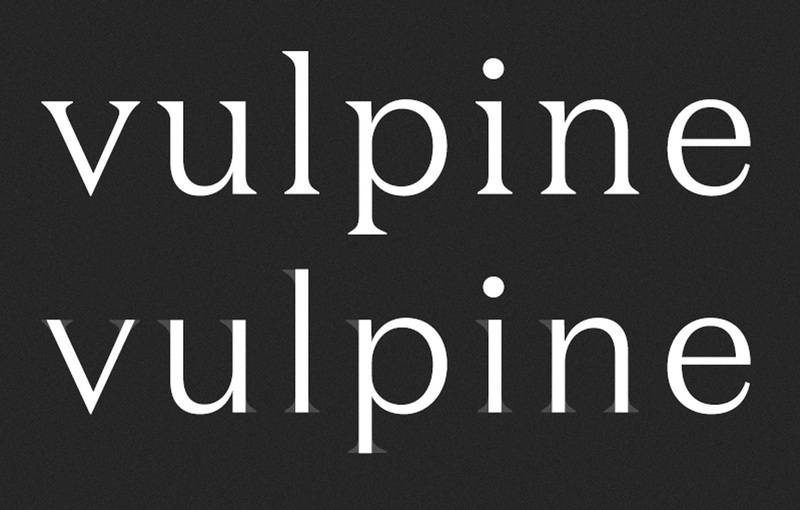 The first quick version was literally Domaine Text Light with the serifs sliced off. It was crude, but reminded me of the smaller sizes of Breite Grotesk which I’d come across during the development of Founders Grotesk. It’s stuck in my mind as a unique, but under-explored grotesk sub-genre. The simple addition of contrast makes it interesting and lively. Sans serif typefaces with contrast are not very common these days. I suspect the spectre of Optima hampers their use. In my opinion, it’s the first cogent typeface with contrast. I think Optima is a wonderful typeface, but anecdotal evidence suggests it’s still quite divisive amongst graphic designers. My ‘first’ typeface was an Art Deco inspired style, Eliza. It was my final student project for my mother’s retail fashion store. It worked well enough as a logotype, but I failed to turn it into a convincing typeface family. The store is in my home province, Hawkes Bay. In 1931 Hawkes Bay was ravaged by an earthquake. The two main cities, particularly Napier, were rebuilt in the style of the time: Art Deco. I was therefore surrounded by high-contrast lettering during my early life. I saw it as normal, and it’s fascinated me since. The ’20s and ’30s saw a few notable Art Deco-ish typefaces released: Broadway, Pascal, Peignot, World Gothic, Chambord, Globe Gothic and Britannic. What was clearly a successful style of lettering for the period never seemed to translate very well into typeface design. For a supposedly elegant style, many of them are ironically unresolved and clunky like Le Polyphème and Le Cyclopéen. Britannic is a little different. It doesn’t feel like an Art Deco wannabe. It has clear grotesque roots, like a weird, upwardly mobile relative of the Stephenson Blake Grotesques. It is charming and surprisingly stable across a range of sizes. Britannic also illustrates a nice solution with high-contrast sans: what to do with the terminals. In low-contrast styles, like Akzidenz Grotesk, the terminals take care of themselves; chop it off and you’re done. In high-contrast styles there are broadly two solutions: flare out like Britannic and Optima or taper to a hairline like Domaine Sans. With Domaine Sans I took a similar approach espoused by Majoor’s “one form principle”, and imagined a heart-line or skeleton running through Domaine. 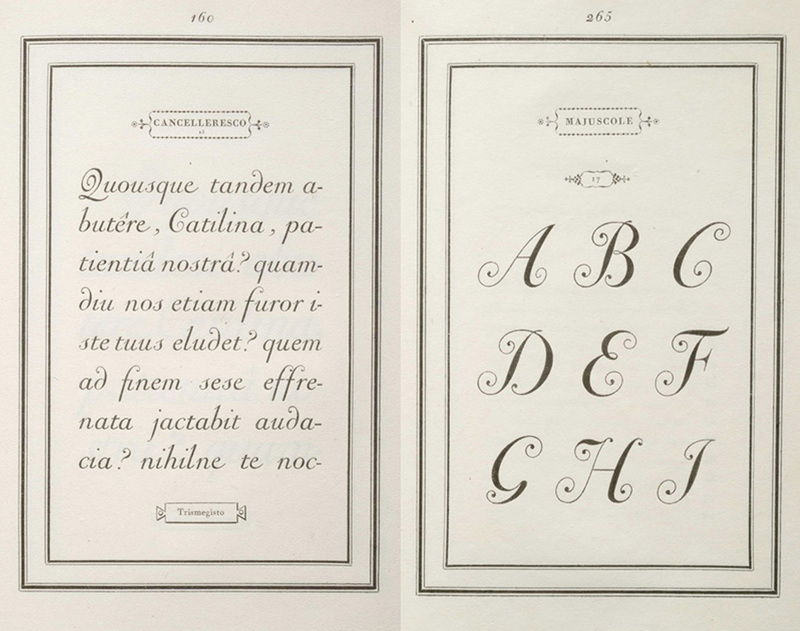 It’s a similar technique used by mid-20th century lettering artists like Mortimer Leach to pencil a “run-through”. The hairline solution more or less suggested itself in Domaine Sans, the terminals curve out gracefully following the line established by Domaine’s terminals. 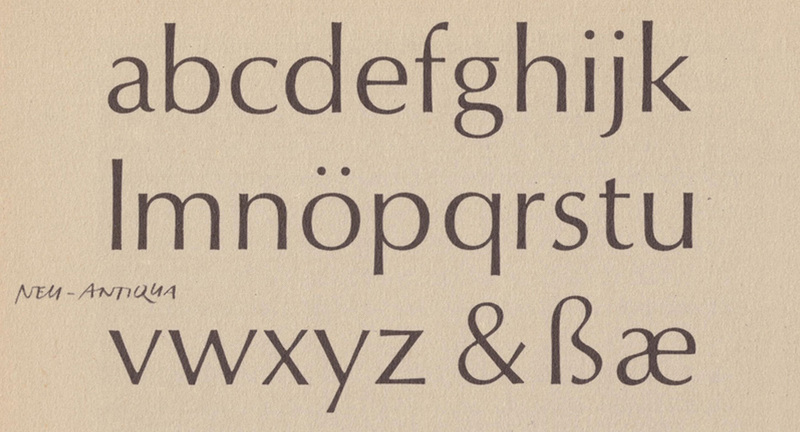 From the moment I first saw Butterfly in The Encyclopaedia of Typefaces¹ a decade ago I’ve been intrigued by it. I’ve only seen it as a reproduction, but the elegance and simplicity, particularly the lowercase, is graceful and clean. Butterfly is technically listed under Script Types in the Encyclopaedia, even though the strokes don’t join. It struck me as being an ideal starting point for the Domaine Sans italics. I like the idea of combining a roman with a script, as opposed to the traditional pairing of a roman with an italic. It provides fertile ground for exploration. I suspect this is an approach Bodoni adopted with some of the wonderful italics and scripts in his Manuale Tipografico. Thinking about the Domaine Sans italics as more of a script lead to the swash caps. This is very new territory for me—designing complimentary alternate swash capitals for every uppercase letter across all weights was quite a challenge. Even so, it was worth it. A single initial swash cap can really change the flavour of a word. 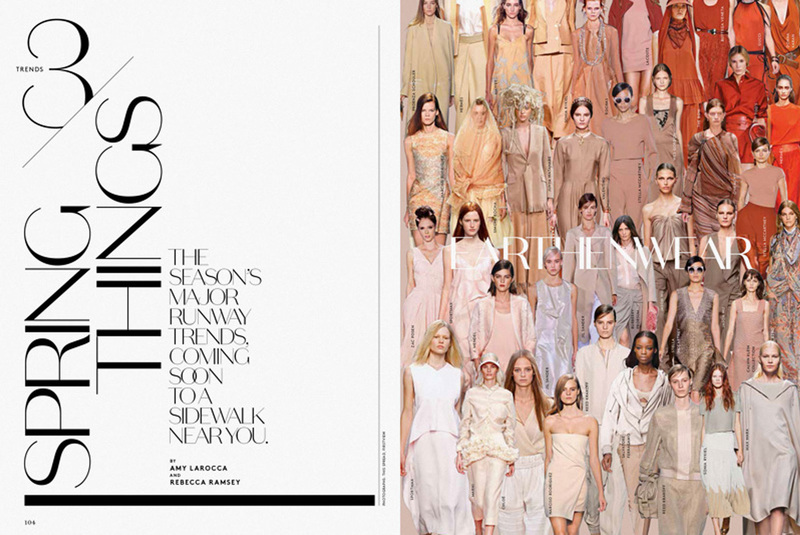 As I was finalising the typeface, New York Magazine ran a Spring Fasion issue with a beta version Domaine Sans Display. I was surprised and delighted with how they used it: big, elegant and graphic. However, when I saw the large sizes I immediately realised there needed to be a finer version with razer-thin hairlines. So the release was put on hold while the Aussie type extraordinaire Dave Foster drew a super-sharp Fine version. The hairlines are extremely thin², referencing sophisticated predecessors like Bickham’s script work and Didot’s grand Romans. Fair warning: Domaine Sans Fine is only really useable above 60pt! Domaine Sans follows the similar structural logic as Domaine. Domaine Sans Display and Fine have exuberant detail and high contrast, whereas Domaine Sans Text is more robust and pragmatic for extended text setting. The Display and Fine Italic styles have swash caps alternates for all uppercase letters. The Encyclopaedia of Typefaces, by Jaspert, Berry & Johnson, is essential for any budding typeface designer. It is my first port of call for almost any new typeface job. It’s usually reasonably priced and readily available. I have the fourth edition. Domaine Sans Fine is available in eight feature-rich weights in Roman & Italic with Swash Cap alternates.